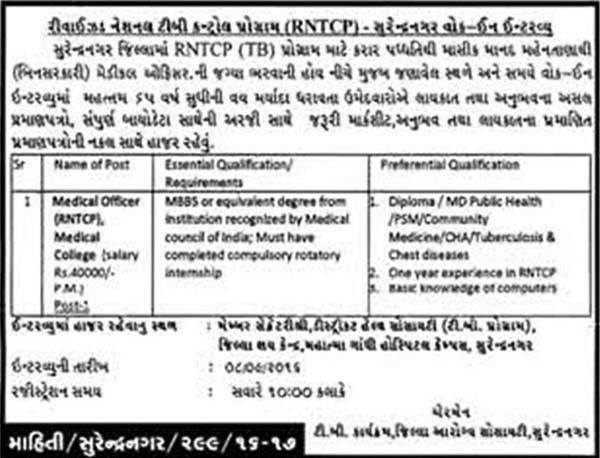 Revised National TB Control Programme (RNTCP) Surendranagar Published Recruitment Advertisement for Medical Officer Post. 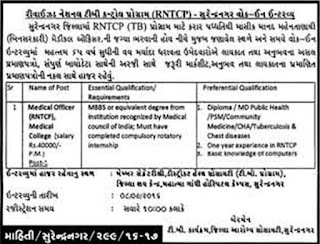 Walk In Interview Place : Member Secretary, District Health Society (T.B. Program), District T.B. Center, Mahatma Gandhi Hospital Campus, Surendranagar.